*Sign-up required. Membership auto-renews monthly after trial. in every room of your home, wireless. Play a different song in the living room, bedroom, even bathroom, or the same track in every room. Access your personal music library. 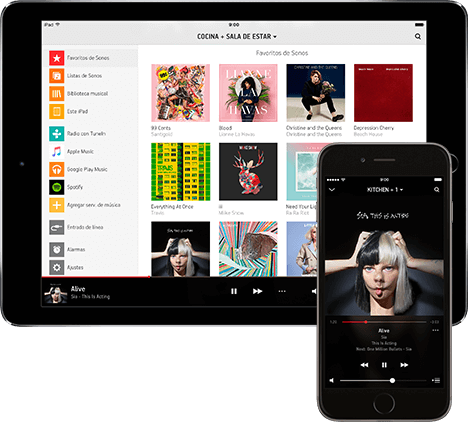 Stream Apple Music, Spotify, or other music services, and over 100,000 Internet radio stations from around the world. 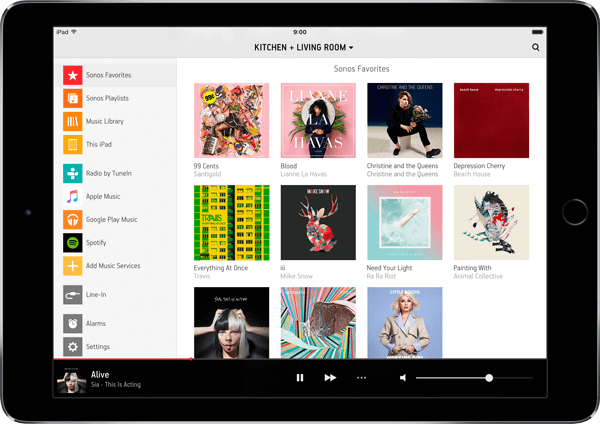 The Sonos app lets you find, play, control, and explore your music, your way. Get just about every song ever recorded—and the experts to recommend the right ones for you based on what you already listen to and love. Apple Music on Sonos. Handpicked songs for every music lover. On speakers tuned to make sure you hear exactly what the artist recorded. Sonos brings Apple Music home– Smart speakers tuned to any room to hear Apple Music’s handpicked recommendations sounds exactly the way the artist intended. Read our blogs on Sonos products, the latest tech toys and new technologies!